Field & Stream has added some lightweight hunting clothes to its product line, and although two particular items were designed for turkey hunters, they should be big hits for early-season archery hunters across the Southeast. 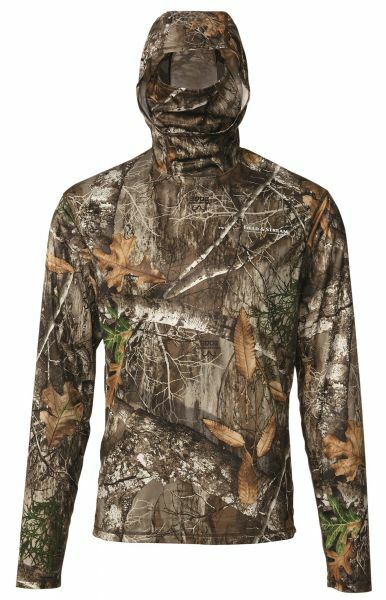 The Men’s Insect Repellent balaclava long sleeve shirt features a trademarked insect repellent, No Fly Zone, thumb holes in the sleeves and a built-in balaclava with options for an adjustable hood and facemask — perfect in Realtree Edge camo for coolness, concealment and a bug-free hunt. The Every Hunt lightweight cargo hunting pants are light, that’s for sure, made with polyester ripstop material good for wicking away perspiration to keep hunters dry and comfortable. They feature plenty of pockets for accessories and an elasticized waist with belt loops. No Scent C3 scent control is built into both shirts and pants, which retail for $49.99 each.